Make others feel your presence by sending this Enchanting Festive Seasons Gift Basket and let them feel very delighted. 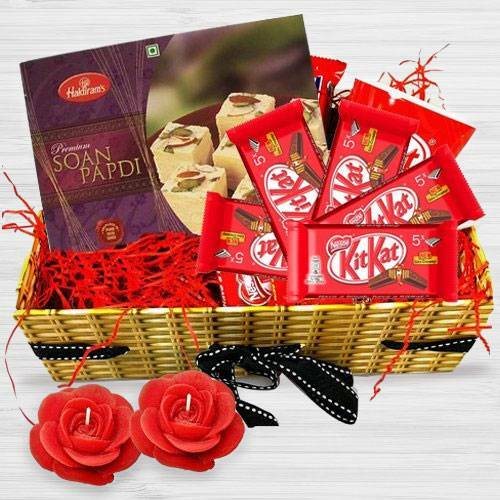 This impressive Gift Basket for Deepawali features One Box of lip-Smacking Haldirams Soan Papdi (200 Gr. ), Nestle Kitkat (5 pc) and Candles (2 pc).